Playing baseball - Ice Cream Social 2013. 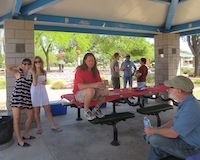 Ice Cream Social - 2013. 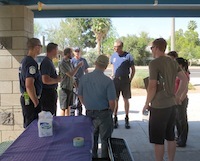 Tempe Firemen - Ice Cream Social 2013. 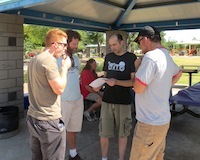 Dan, Brian, John, Mike: Ice Cream Social 2013. 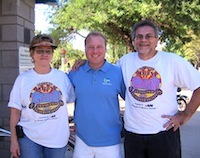 Linda and Phil with Mayor - Mark Mitchell. Trap-Neuter-Release Kitty Photos - 2013. 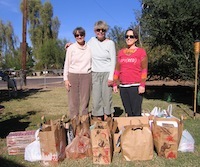 Janet DeMars, Pam Hendrix, Kim Landino. 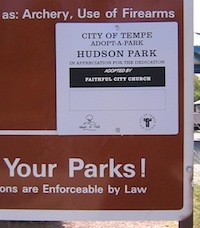 Faithful City Adopt a Park Sign. Councilman Kolby Granville, Vince, Carlos: GAIN 2012. 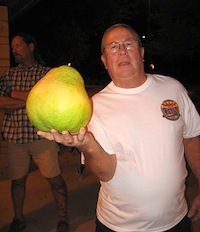 Carl & the grapefruit: GAIN 2012.